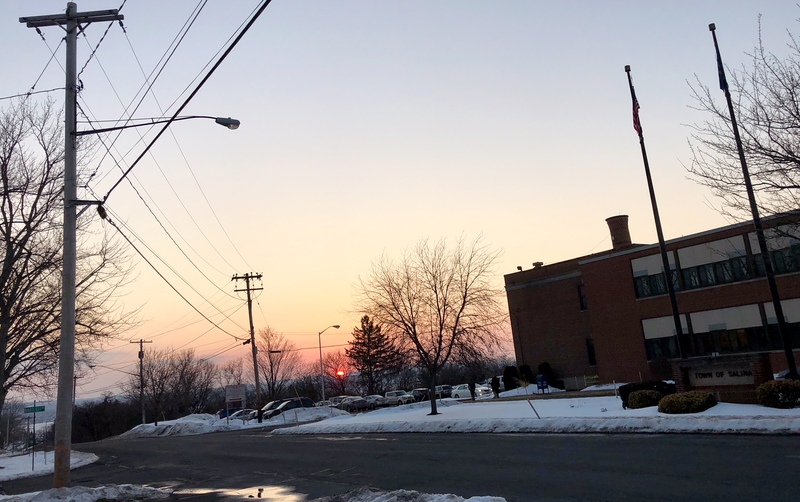 As I walked out to the car at 5:30 p.m. to drive for a Valentine’s Day dinner with my dear wife Karen, I noticed this beautiful sunset in our Liverpool neighborhood of Galeville. I figured the evening was off to a pretty and proper start. ← Am I interesting times seven? Just right for the day it was, Willow. You got that right, MBC.